The StopRotor in fixed wing mode. StopRotor Technology is developing a new technology aircraft that can fly as either a helicopter or fixed wing aircraft by transitioning between flight modes in what the company says is a concept “previously unexplored in the history of VTOL development”. 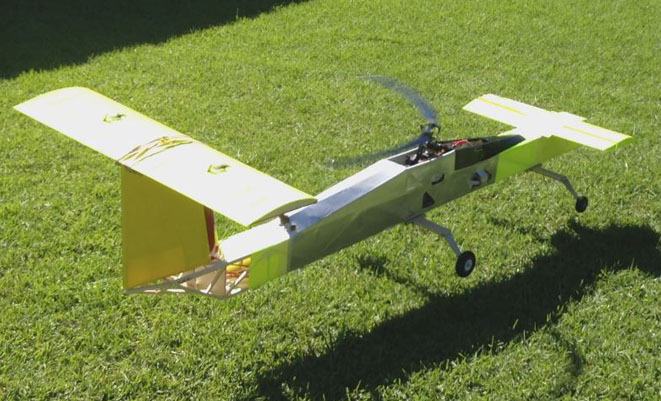 StopRotor Technology’s hybrid ‘RotorWing’ design features a practical solution to the challenge of stop-rotor aircraft by operating the aircraft to align the airflow with the rotation axis of the rotor while in flight. This creates a stable flight profile where the transition from one mode of flight to another can be achieved. Announcing the new concept, the company said: “All previous stop-rotor designs have either attempted to stop their rotors in forward flight or proposed an impractical fuselage layout. Forward flight results in asymmetric airflow on the rotor system as it spins, causing instability and preventing successful transition from one flight mode to another. 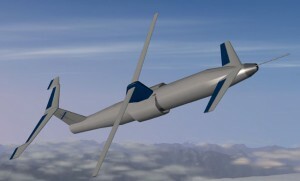 StopRotor Technology is currently testing proof of concept using computer simulations and flying models. The stop-rotor concept is covered by a patent application. The company has launched the technology in response to the new DARPA VTOL X-Plane program specification. “An aircraft that can take off like a helicopter but fly like a plane will be a valuable new platform. Whilst it is at a very early stage of development we are excited by its potential and expect that it could fulfill a useful role in the rapidly expanding UAV industry,” the company said. Looks like a very clever and interesting concept, hope it gets off the ground, no pun intended! The concept photo at the top looks remarkably like an Israeli Hermes 450 UAV with its wing (rotor) mounted above its tubular body. From a military point of view, I could see a larger version, say Hermes and up to Heron UAV size, being a valuable high endurance surveillance asset operating off the Navy’s new LHD’s and even the AWD’s and Frigates too. There should be enough room on the flight deck of the AWD’s to operate in VTOL mode, and for the LHD’s if it can take off conventionally (use less fuel and more time on station), run down the flight deck and off the ski ramp, landing would be easy, land it like a helicopter. If the concept has merit, lets hope the Government supports it, otherwise it might end up being funded and developed overseas and we might just end up buying it back!